With such an amazing start to the new year, our team at Blond have thrillingly decided to introduce incorporating National Food Days within the food culture of the Blond CYCA Bistro. We are continuously striving to go above and beyond in ensuring our guests are satisfied, with the aim of exceeding expectations. 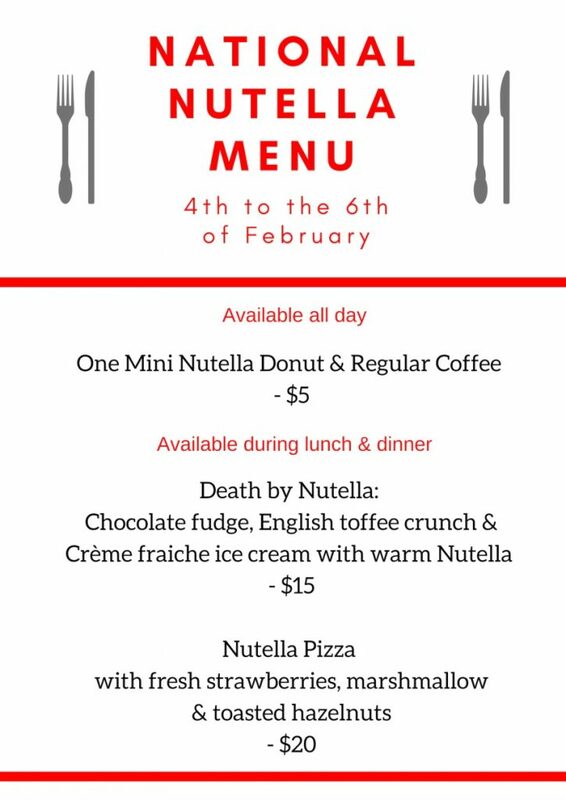 Here at Blond CYCA we are excited to announce that we are celebrating National Nutella Day from the 4th to the 6th of February 2019. Our team has worked hard to create some too good to resist, limited edition menu items during this period of time. We welcome you all to take part and enjoy the Nutella goodness we have on offer!